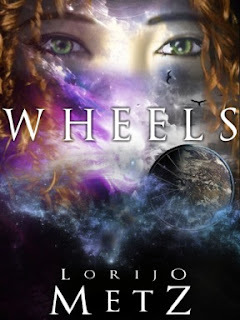 About the book: WHEELS by Lorijo Metz is a sci-fi adventure filled with mystery and romance; a coming-of-age tale that proves it takes more than super powers to save a planet. Summary: McKenzie Wu stumbles upon a portal, transporting her and her friend Hayes to the tiny planet of Circanthos, she learns the inhabitants believe she is the “One” destined to save them from H.G. Wells, a name that sounds strangely familiar, and his Tsendi warriors. But while her newfound ability to arrange molecules with her mind might give her superhero status back on Earth, halfway across the galaxy it’s commonplace; all Circanthians can particle-weave; and if they can’t stop H.G. Wells, what can she hope to do? With the portal closed and no idea how to get home, McKenzie must learn to use a power she does not want and accept her mysterious past, or risk losing everything; her father’s love, her new alien friends and the boy. My thoughts: I've really only got one thing to say: I'm completely wowed. The summary seemed promising and the book completely satisfied my expectations. It is a quick, humourous, action-packed read, and I loved it in spite of the fact that I'm not the biggest fan of science fiction. The only problem I had with the book was the editing (or the noticeable lack thereof.) That's something that can really turn me off a book and I wish there were no overlooked errors. That being said, this is one of the most innovative books I have read in a while. The world (well, worlds) built is so intricate and every detail is carefully planned out; I could imagine how much effort went into it. I like the author's writing style and how she employed all the five senses to aptly describe just about anything. I find science fiction hard to get involved in, but that was never a problem with this book. I got sucked right into the world and let me tell you, it was fabulous. 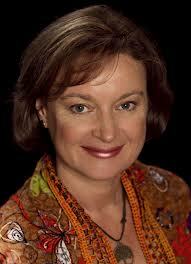 The characters were rounded and so, realistic and I found it easy to relate to McKenzie. And I absolutely loved the switching perspectives; very few authors can handle them so well. The were some typical Young Adult novel elements, but nothing was overly cliched. All in all, this book is something I'd recommend you to read, if you like science fiction, fast-paced books or young adult novels. You can buy the book here! Summary: Pontiac Parker is a bit of an eccentric. He is also extremely dedicated to his cultural and spiritual heritage. Pontiac’s extraordinary fixation with the number seven may seem peculiar to the insensible onlooker. To him, thought, it's as natural as any one of his other beliefs. He doesn't know how or when his complex seven obsessions started, but, as the story unfolds, he will slowly and surely find out. On his wedding day a note with a feather attached to it and a series of numbers written on it is left taped to his front porch, clues for him and his new bride to decipher. These are soon followed by more clues, more notes, and more elusive numbers to figure out. What does it all mean? Neither he nor his new bride knows what to make of it all. They soon discover that they cannot ignore the notes and the clues because the fate of many lives ultimately hangs in the balance. But, in order for him to save these people's lives and also the lives of many generations to come, he must first face the most debilitating and dangerous challenge he has ever encountered. And it is a challenge that shakes the very core of his Native American belief system. The risks are great and the rewards are many, but for whom? And in the end, what underlying force will ultimately prevail - altruism or greed? My thoughts: It is very hard to write about this book. I want to love it but I can't and here's why. The plot of this book is intricate and naturally, very well thought out. The fact that the writer has conducted a lot of research and built an engaging story around it is evident. Everything, right from the title to the illness, fits together like pieces of a fabulous puzzle. 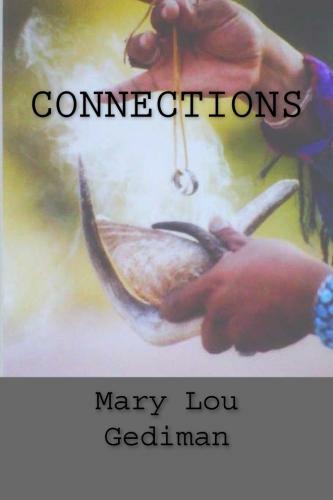 Connections is what the book is all about, bonds and family ties and the fact that sometimes all we can do is help. I love the way the writer has integrated a message in every part of the book and the story and what the characters have to face do leave a lasting impression on the reader. And still, something is missing. I found the book a bit dull. It took me a long time to want to read further. I had to trudge on through the first few chapters, searching for the action that came too late. The characters are introduced in excruciating detail way too soon. The author tried to be amusing as she spent the entire first chapter describing the eccentric Pontiac, but the humour was lost on me. I thought the characters were a bit too specific and because I couldn't relate to most of their typical traits, they bordered on seeming boring. At times, they even seemed inconsistent and even though I discovered many things about Pontiac and Maggie throughout the story, there didn't seem to be a real character arc. So the question I keep coming back to is whether I can love a book for the story, when I didn't particularly like the characters. That is something you should find out for yourself! If you like thrillers, with mysterious pasts and codes and relationships and such, this is the book for you. Grab your copy right here! 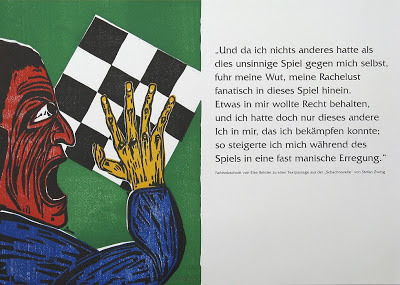 This is my slightly late post about The Royal Game / Schachnovelle by Stefan Zweig that I read for the first week of the German Literature Month 2012. About the book (from here): Chess Story, also known as The Royal Game, is the Austrian master Stefan Zweig's final achievement, completed in Brazilian exile and sent off to his American publisher only days before his suicide in 1942. It is the only story in which Zweig looks at Nazism, and he does so with characteristic emphasis on the psychological. On the ship from New York to Buenos Aires, our narrator spots Mirko Czentovic, the world chess champion. Czentovic started out as a poor boy and is still illiterate. He prefers to keep to himself and never having learnt about any other greatness than his own, he is arrogant. When a few passengers, along with the narrator, approach him to play a game of chess with them, he agrees to play for a price. They come together to try their skills against him and are soundly defeated. Then a mysterious passenger, Dr. B, steps forward to advise them and their fortunes change. The passengers try to persuade Dr. B to play with Czentovic one on one, but he promptly refuses. When the narrator asks Dr. B, how he became such a skilled chess player, Dr. B narrates his story. As a monarchist hiding valuable assets of the nobility, Dr. B had been tortured by the Nazis, who kept him in total isolation. He had come across a book of chess games, which he had then read and memorized; it had been his only way to keep himself from going insane. After memorizing and absorbing every move mentioned in the game and being left with nothing to do, Dr. B had begun to play against himself, splitting himself into the two players: White and Black. He had reached an emotional breakdown because of the psychological conflict, and had only returned back to his sanity, after being rescued. Chess is more a game of the mind than anything else and the crux of the story lies in the final game between Mirko Czentovic and Dr. B., a showdown between an illiterate stoic and a learned neurotic. The way the book deals with its themes of torture, incarceration, defeat, war, politics and in extreme detail Nazism is at once horrific, depressing and amazingly true to life. The way Zweig writes about what goes on in someone's head, the way he can translate the hopelessness and helplessness into words is fabulous. I like Zweig's austere writing style and the pace of the book. It's a short but impactful novella, and one that I think everyone ought to read. The German Literature Month 2012 is hosted by Caroline at Beauty is a Sleeping Cat and Lizzy at Lizzy's Literary Life. The first week is for novellas, plays and poems. I read two books of poems, one by Goethe and another by Heinrich Heine. This post is about two fascinating poems, which are based, to an extent, on folklore. The first is a poem called Der Erlkoenig or The Elfking / Alder King / Erlking by Goethe. You can read it here, along with the literal translation and English adaptation. The poem is best of course, in its original language, but here is another loose adaptation of the poem in English by Sir Walter Scott. There are actually many translations of the poem, my personal favourite would be the one by Edgar Bowring, mostly because the archaic language maintains the quaintness of the ballad. “Oh, come, thou dear infant! Oh, come, thou with me! “I love thee, I’m charmed by they beauty, dear boy! I love the poem, it is dark and dreary, just the way I like. I realized there were many interpretations of this poem, after reading some myself, like the Erl-King being seduction or all things forbidden. I like it more when the supernatural is actually there, even if as a horrific figment of our imagination, rather than a symbol. The most literal meaning is that there actually is an Erl-King, who after failing to take the child with him, kills him in anger. To me, though, they don't seem like just another father and child. It's late and it's a dark and dreary night; to me it seems like there is a reason that they are travelling in right then; a reason that the father is holding his child so close and tight. The child is already sick and hallucinating. What I thought is that the Erl-King is something that the child believes has come to take him, when he is on the verge of dying, a Grim Reaper, if you may. As the child loses his touch with reality, he feels that something is beckoning him to join it and after the child protests, forcing him. The child doesn't want to go, as he is scared, but death or the Erl-King takes him away, anyway. I doubt that the father ever believes in the Erl-King, even as he runs away. It is just the most obvious thing to do: he is on his horse, it is dark and no one is around and as the child's desperation increases, the father knows something is wrong and gallops off, terrified, to where he was originally headed: to get help. It could also be said that the father prefers to believe in the fantastic tale of an Erl-King taking his child away, so as to put the blame for the child's death on something other than the fact that the father himself was late in getting help. I love the setting: the wisps of cloud in the sky, the sound of wind rustling through the leaves, the shadows of huge, still trees; they all do seem like evil spirits. Creating a fear of the unknown or unseen may be the most used technique in horror, gothic fiction, but it works for me every time. I really liked this ballad. Would your interpretation of the text be as literal as mine? The second poem is Die Lore-ley or The Lorelei by Heinrich Heine. You can read the original poem here. I first read it in English, a few years ago, in Mark Twain's A Tramp Abroad. When I read the original poem in Gedichte, a book of poems by Heinrich Heine, I remembered why I was so fascinated by the story and the legend back then. Also, the imagery in the original poem is masterful and I could imagine every single detail of the scene from the way it is written. The Loreley is a rock on the coast of the river Rhein, which forms a blind turn on the narrowest part of the river. Many sailors have crashed onto the rock and died. The heavy currents near the rock create a murmuring sound, which has inspired many legends and folklore. The mythical tale of the musical nymph Echo inspired a ballad, where a beautiful girl named Loreley, who has been betrayed by her lover, jumps down to her death, from the rock on the Rhein. The echo of her name haunts the rock and kills any man who approaches it. Heinrich Heine's poem on the other hand, looks at Loreley as a siren instead of a nymph. Sirens are devious, seemingly beautiful creatures who lure sailors to their doom with their charming voices. The poem could be interpreted thus as a tale of a frightening monster that wants to kill the sailors. It can also be seen as a tragic romantic story, which is how I first interpreted it. The singer, Loreley, might as well be blissfully oblivious to the gruesome ending, which her music has brought the men to. I like the use of sounds in the poem and the small word-plays, which I couldn't really describe because the poem I've given here isn't the original. That makes me wonder if it is worth reading translated poems, with everything that may have been lost in the process. A single changed syllable changes the sound, and hence the rhythm, and it could change the meaning of the poem or affect the way a poem is interpreted. Not to mention there are word plays, allusions and puns that can't quite be translated word for word. What do you think? Another poem by Goethe that I read and loved was Heidenroeslein. The book of Heinrich Heine's poems was a precious little collection and I enjoyed all the poems I read. Which are your favourite German poems? I have received this book in exchange for an honest review. To visit the rest of the virtual book tour stops, visit the Partners in Crime Tours page. 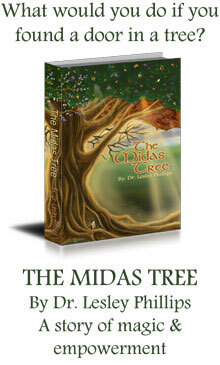 To win an e-copy of this fabulous book, scroll down. About the author: A. F. Ebbers, a journalism graduate of Ohio University was a reporter/writer for major newspapers, ad agencies, and in public relations for Cessna Aircraft Company. He also graduated from Army Flight School and flew for the Ohio and Kansas Army National Guards. 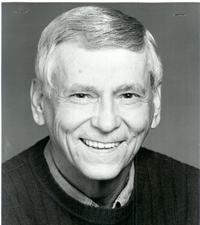 Later he was called to active duty and served two flying tours in Vietnam. After retirement from the military, he flew for corporations and for regional airlines. A dual rated ATP pilot, he has written for numerous national magazines, Sunday supplements and trade and travel magazines and has written screenplays and short stories. Today he lives with his wife in the Austin, Texas area and, when not writing, enjoys tennis, golf, flying and piano. Dangerous Past is his debut novel. Summary: Airline Captain Frank Braden and his wife Nicole are suddenly stalked by professional assassins who have a deadline to make their deaths look like an accident or a suicide. And the couple doesn't know why they are being targeted. They don't realize that they stand in the way of a deadly conspiracy. Little by little they are pulled into a dangerous web of intrigue by a murderous criminal network that deceptively offers the pilot his wife's life if he will concede to their demands. This is a thriller that rocks the highest levels of Washington. My thoughts: I think it was Spider Robinson, who said (in Callahan's Crosstime Saloon) that people should write about things that they know, irrespective of what those things are. I have paraphrased it, of course, what he said was definitely much funnier. I realized how true that was as I read this book. The author's confidence with his own material is striking throughout the book and that makes it unlike most debut novels. The book is a page turner and can be read in one, exciting sitting. The suspense is well maintained and quite frustrating (in a good way.) I could never figure out what was going to happen next and the author kept me well on the edge of my seat throughout the book. I loved the climax and the shocking revelations it brought. 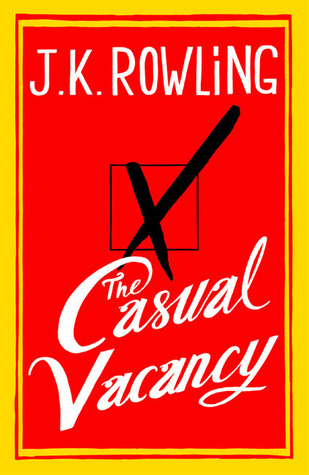 The theme of the book is also haunting and the title perfectly suits the story. The idea that someone can be so thoroughly framed is scary. The setting is very visual, and I liked the descriptions of Vietnam. The characters are convincing and not overly stereotypical. I liked the dialogue, I think very few authors can write good, realistic conversations. My only problem with the book might have been the jumps in time and point of view and the confusion caused by them. Another thing was that the plot and action was at times a bit cliched and it felt too much like watching a movie. But in a combo of mystery, suspense, thriller, that is to be expected of most books. 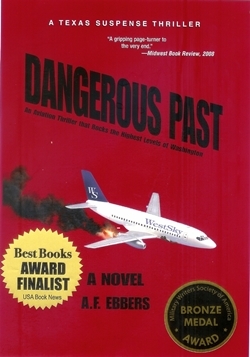 Dangerous Past by A. F. Ebbers is a riveting read and I recommend fans of the genre as well as anyone looking for a fast read to try it out. You can buy it on Amazon and Barnes & Noble. Rating: 3/5 - I liked it! Giveaway: Answer a simple question right HERE. One randomly chosen winner gets a free copy of the book. Provide your e-mail address within the answer and I will send one lucky entrant an eBook (format of your choice)! German Literature Month!! I can't believe I forgot about this. This is a one-month event (naturally) hosted by Caroline of Beauty is a Sleeping Cat and Lizzy of Lizzy's Literary Life. Last year I had a blast participating in the event and discovered some great authors like Heinrich Boell, Ferdinand von Schirach, Joseph Roth. Week 1: I have a few books piled up from last year, that I didn't get around to reading, which include a couple of novellas. The one I'm sure about reading this week is Schachnovelle / The Royal Game by Stefan Zweig. I have a book of poems by Heinrich Heine that sounds surprisingly nice and I want to try a couple of poems by Goethe that I've heard/read about. I also have a book, a play called Des Teufels General / The Devil's General by Carl Zuckmayer. All I know is that it's about the war, and if I find time, I would like to read it as well. 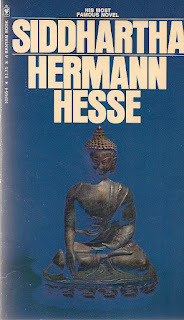 Week 2: Last month, at a book sale, I found a precious little copy of Hermann Hesse's Siddhartha. I have always wanted to read that book and there couldn't be a better time. 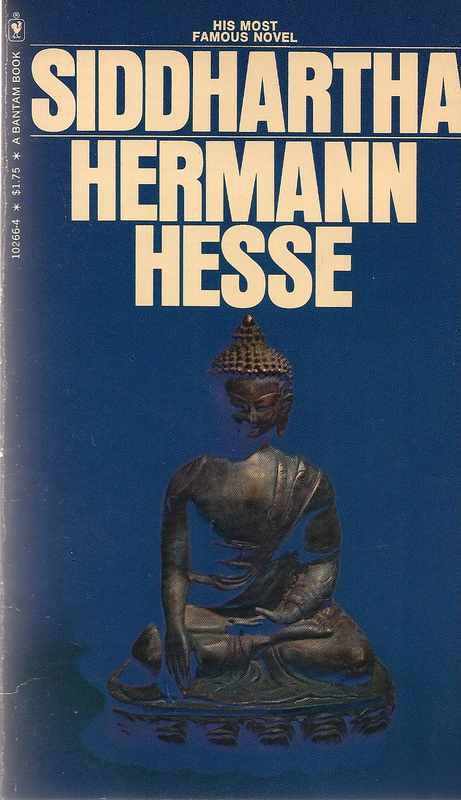 Some books I want to try include those by authors Bernhard Schlink, Thomas Mann, Hans Fallada, Franz Werfel among others, but I have absolutely no idea, which of these books I'm actually going to find. From last year's stock I have Das Boot / The Boat by Lothar- Günther Buchheim. I saw the movie a long time ago and I'm hoping a little idea of what happens might help me understand that huge novel in its original German. Week 3: German genre fiction is a complete blank for me and I'll need to do some research when the time comes. Right now, the only names that come to mind are Ingrid Noll for thriller and E. T. A. Hoffmann for fantasy/supernatural fiction. It's been far too long since I have a read a German book and I can't wait to get started! What are you reading? Summary: The book is set in Santeria, a caged city for supernaturals. Soon after the humans discovered the existence of supernaturals, there were the Human-Supe wars, in which the humans, with the advantage of having weapons, won. Now, throughout the world there are caged cities, where the supernaturals are contained by the humans and are allowed to lead their lives. They have their own society and rules and have also got human cops called habbies. There are two types of supernaturals, the purebloods and the mixbreeds. 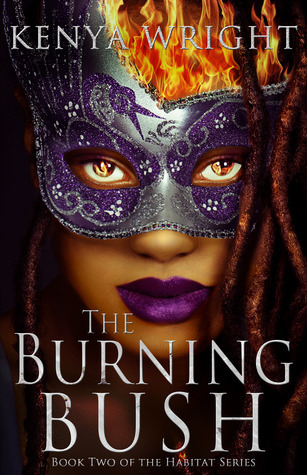 Lanore Vesta is a Mixie with the power to control fire, and has spent the first book in this series (Fire Baptzied) helping Rivera, a habbie, solve a murder mystery, with the help of her boyfriend Zulu and and ex-boyfriend MeShack, a were-cheetah. In The Burning Bush, two girls have been found murdered and tied to the eponymous burning bushes. The fire is intact and the bodies are unharmed, leading Lanore and Rivera to the conclusion that this is an act involving magic. As Lanore tries to solve this mystery, she has other problems to deal with. Lanore and her friends have to try and take down a scary, age-old vampire businessman Dante Botelli. Lanore becomes involved in a dangerous turf war with disastrous consequences for all of them. What I liked: Let's start with the cover; I think it's great, and I don't usually like the covers of most contemporary YA/urban fantasies. Most of them have pictures of girls in huge gowns or couples staring at each other. I like how this cover displays one of the key scenes in the book. The book began with a bang. I liked the action and the fact that the author has maintained a fast pace till the very end. This book gives us a much greater insight into the world of Santeria and the work put into creating an intricate world is evident throughout. Not having read much from this genre, I still couldn't say if the concept of this world, its history and creatures are altogether unique but I do like the way it is written. The idea of Human-Supe Wars and caged cities is fascinating. The traits and behaviour of the old characters are consistent with the first book, though many back-stories are revealed, which I found interesting. The characters that are newly introduced are also well written. I liked the way the author uses this world to draw parallels with ours. There are so many underlying themes in the book, like family, race, abuse, justice. But the message is sent without making it too obvious, unlike in most books and I like the discrete symbols more than anything. What I didn't like: The love triangle and the throwing around of "I love you"s reminded me of Twilight (in a bad way.) I don't think there was any other purpose of Lanore not being able to choose between MeShack and Zulu other than to attract readers (the kind who like Twilight.) It was also sort of sickening to see an otherwise uncharacteristically strong and confident woman to turn weak and desperate around both of the men. Not to mention, the fact that the only way she was ever able to say "No" to either of them was by burning them. If only the author had cut down on the mushy romance a bit, this book might have been a lot more interesting, but that might just be my opinion. Another thing I absolutely loathed was the cliffhanger ending. The only reason I avoid reading series is because there is a chance that the ending might be left hanging and I was extremely furious when I realized that this book did not have a conclusion. It is infuriating to have to wait for an entire new book to release to find out what happens next. Every book in a series should stand alone. Thanks to that cliffhanger ending, it is no wonder that I'm going to read the next book. If you are a fan of urban fantasy, paranormal romance, I'm sure you'll like this book. I recommend you to start reading the series too before the third book comes out! Grab your copies right here.